Think for a momentabout orthodontics. Braces are applied to one’s imperfect teeth and ever so gradual increasing resistance is implemented over time and, presto, in a couple of years, the teeth are perfectly straight and beautiful. Exposing our bodies to the right “environment” on a long-term basis can positively affect not only our external appearance, but also more importantly, our internal health. Conversely, exposing our bodies to the wrong environment on a long-term basis can negatively affect our external appearance and internal health. Essentially, the cells and tissues of our bodies—including our muscles, bones, brains, and every other organ—are endowed with a remarkable capacity for “plasticity,” the quality of being able to be shaped and molded in an adaptive response to environmental changes. What it comes down to is that our human body is an adaptation machine. Our composition is “fluid” as opposed to “static,” and our tissues are constantly being remodeled, restructured and refashioned in adaptive responses occurring in accordance to the forces, stresses, resistances and demands placed upon them. This plasticity is an amazing phenomenon and permits our tissues to maintain normal function when burdened with adverse “resistances.” Conversely, we can tap into this powerful resource by purposely challenging our tissues with the appropriate resistances to enable them to perform at extreme high levels of function. 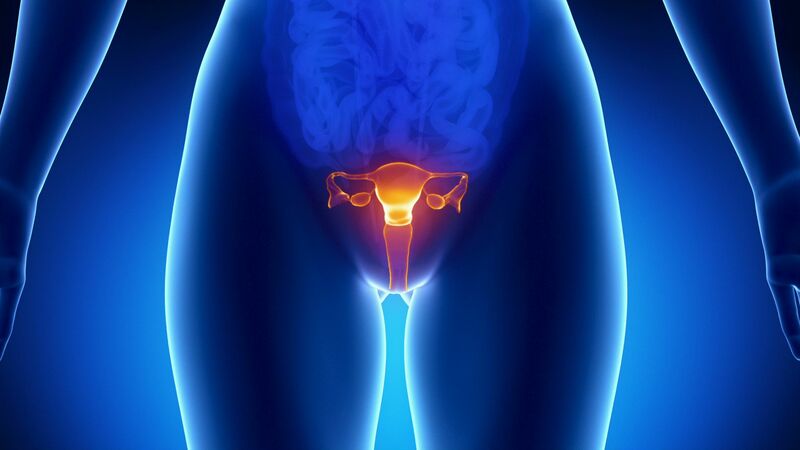 An example of our bodies’ attempt to maintain normal function when burdened with adverse resistances is benign enlargement of the prostate gland. Almost inevitably, all aging males experience this gradual growth of this curious gland wrapped around our urethral channels. As a result of this “crimp” on the urethra, the resistance to the flow of urine gradually increases. However, the bladder muscle adapts by hypertrophying (getting more muscular). The bladder ever so slowly changes from a thin and smooth muscle to a thick and rough muscle in order to generate the higher pressures necessary to enable getting the urine out through the impeded urethral passageway. The unsuspecting individual with this condition may experience no symptoms for quite some time because of this natural compensation. However, compensation cannot occur indefinitely as there are natural limits on this plasticity, so one day he may be unable to urinate because the bladder hypertrophy has become maxed out, yet the prostate growth and increased resistance continues relentlessly, resulting in a condition known as acute urinary retention. The powerful resource of plasticity and adaptability can positively and purposely be tapped into by challenging our tissues to adapt to the appropriate environmental changes (resistances) to enable our tissues to perform at extreme high levels of function. One type of resistance that is most beneficial is exercise. Exercise is all about adaptation. The SAID principle (Specific Adaptation to Imposed Demands) posits that our body will adapt—in neuromuscular, mechanically, and metabolic terms—to the specific demands that are placed on it. This is the very reason why both endurance and resistance exercises get easier the more effort we put into doing them. Asthe body is subjected to gradual and progressive “overloads,” the heart, lungs and muscles adapt and a “new normal” level of fitness is achieved. It comes down to the fact that our muscles are plastic and capable of hypertrophy (growth) or atrophy (shrinkage) depending on the environment to which they are exposed. Adaptation to exercise is applicable to all aspects of fitness: cardiovascular or aerobic fitness in which the heart and lungs adapt to endurance efforts; musculo-skeletal fitness in which our muscles and underlying bony framework adapt to bearing loads and working against resistance, leaving our muscles sinewy, strong and toned; core strength, which is fitness of our torso muscles that allows us to maintain good posture, stability, balance and coordination as well as serving as a platform for efficient use of our arms and legs; and flexibility fitness in which our muscles are elastic, limber, supple and more resistant to injury. “Use it or lose it.” As much as our bodies adapt positively to resistance, so they will adapt negatively to a lack of resistance. For example, after wearing a cast on one’s arm for 6 weeks, there is noticeable wasting of the arm muscles, known as “disuse atrophy.” Contrast this with the opposite scenario—exercising one’s arms by doing curls on a regular basis—which will result in an obvious hypertrophy of the arm muscles. When our bodies are sedentary—for example on the basis of a severe injury requiring bed rest—there is a rapid demineralization and thinning of our bones. Spinal cord injured patients who are paralyzed undergo just such a rapid demineralization. Astronauts who spend time in zero gravity (which takes all biomechanical forces away from the bones) experience a remarkably fast demineralization and risk not only thin bones—as does anybody with rapid demineralization— but also of developing kidney stones from the calcium mobilized from the bones. The process of adaptation is not limited to our muscles and bones, but involves each and every internal organ, including the kidneys, liver, pancreas, brain, etc. That is why it is so important to expose our bodies to positive “resistances” and not to “negative” resistances. Our central nervous system is constantly being remodeled in response to environmental exposure. The brain’s neurons undergo anatomical changes and reorganization of their networks with new neural connections in response to new situations or environmental changes (learning). Through the processes of “neuroplasticity” and adaptation, learned behaviors actually modify the electrical hardwiring of the brain, which is dynamic and constantly subject to revision. Synaptic “sculpting” facilitates learning and synaptic “pruning” occurs when patterns are not repeated. Thus is explained on a biological basis how learning occurs. Bottom line: Humans are bestowed with an amazing and magical capacity for plasticity and adaptation, which can be transformative when used to our advantage and benefit. Expose our bodies to positive cognitive and physical nourishment and they will be carved into beautiful, highly functioning machines. Expose our bodies to negative forces or absence of positive forces and they will falter into ugly, poorly functioning, maladaptive machines.